What’s Open and Closed on Presidents Day 2019? Monday, Feb. 18 is Presidents’ Day – a federal holiday. All federal workers will have a holiday, but many private sector workers do not. Because of this, it’s difficult to determine what’s open on Presidents’ Day. Here’s a list of different businesses and whether they will be open or closed on Presidents Day. Credit unions and banks are closed. Most credit unions and banks are closed on Presidents Day in observance of the federal holiday. There are a few banks that are an exception to the rule and are open. Drug stores are open. Major drugstores like CVS and Walgreens are open for regular business hours on Presidents Day. Smaller chains and independent stores will also be open but may operate on holiday hours. It is a good idea to call the pharmacy to make sure they are open if you need a prescription filled that day. Federal government offices are closed. Most federal government offices are closed on Presidents Day. Essential personnel such as law enforcement will be working and their offices will be open. Garbage services may or may not pick up. Garbage services will vary. Check with your local garbage service to verify if they will be picking up on Monday. Gas stations are open. Gas stations should be operating on their regular Monday business hours. Most service stations will also be open on Presidents Day, but it is a good idea to call ahead and check their hours before you go. Grocery stores are open. All grocery stores operated by a major chain are open regular hours on Presidents Day. Smaller retailers and local ethnic stores should be open, but it is a good idea to call ahead and verify before you go. Libraries may be open or closed. Most libraries observe federal holidays, but some will be open on Monday. Check with your local library to see if they will be open. National parks are open. National parks are open on Presidents Day. Check out the National Park Fee Free Days in 2019. Post offices are closed. Post offices are closed in observance of the federal holiday. There will be no mail delivery or pick up on Presidents Day. Public transportation may be operating on reduced service. Many public transportation services (bus, rail) will be operating on holiday schedules. Check with your local service for their schedule on Monday. Restaurants are open. Most chain restaurants will be open on Monday, Feb. 18. Many will have special deals for Presidents Day. Independently owned restaurants will most likely be open but call ahead to confirm since they may change their hours for the holiday. Large retail stores are open. All major retailers, like Macy’s, Target and Walmart, will be open regular business hours on Presidents Day. Costco closes for some federal holidays, such as Memorial Day and Labor Day, but will be open on Presidents Day. Many major retailers will offer sales the week of February 19 to celebrate Presidents Day. There are some great deals available this week, but remember that it’s not a deal if you are buying something you don’t need. Schools may be open or closed. Most public and private schools observe the federal holiday on Presidents Day, but it is up to the school district. Check with your school to see if they will be open or closed on Monday. State and local government offices are closed. Most state and government offices will be closed in observance of the federal holiday. Essential services such as fire and law enforcement will be open. The stock markets are closed. The New York Stock Exchange and NASDAQ observe most federal holidays and will be closed on Presidents Day. What’s Open and Closed on Valentine’s Day 2019? 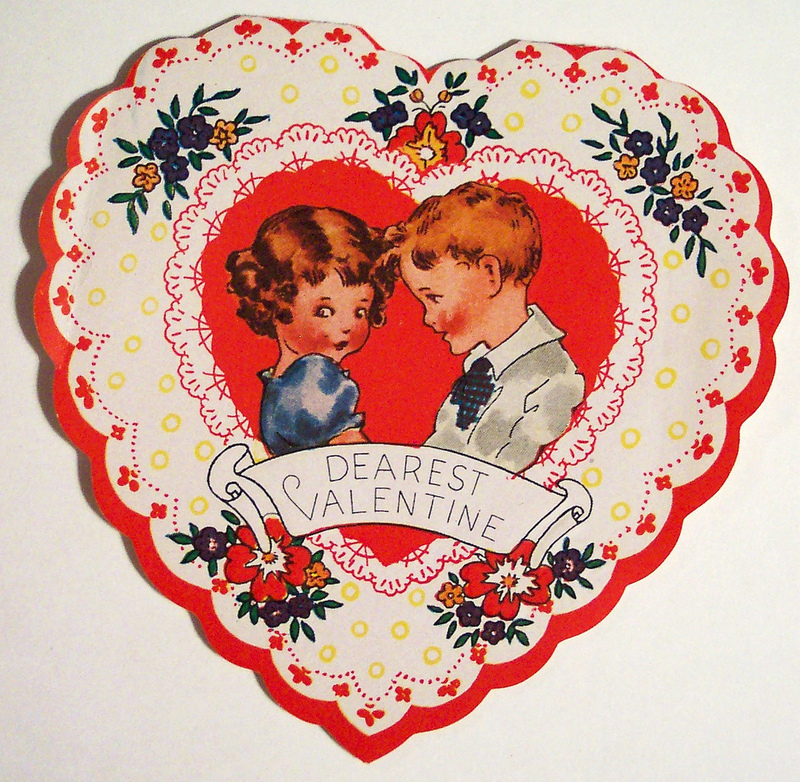 February 14, Valentine’s Day, is a day that many people celebrate, but it is not a federal holiday. What gets a bit confusing is Valentine’s Day sometimes lands on a weekend and it’s always near President’s Day weekend. Presidents’ Day (officially known as Washington’s Birthday) is a federal holiday, so many establishments close. For those who will be out and about, here’s what’s open and closed on Valentine’s Day this year. Retail stores are open on Valentine’s Day. For all those who didn’t find the time to get their significant other a Valentine’s Day gift, you’ll be happy to know all major retailers will be open on February 14, so you can pick up a last minute gift. For those who love chocolate, it’s good to remember Valentine’s chocolate will be reduced by half or more on Sunday, and it can be a great time to pick up premium chocolate at a huge discount. Restaurants and eating establishments are open on Valentine’s Day. Restaurants and other eating establishments will be open for business on February 14. In fact, some will have special Valentine’s Day menus to take advantage of all the couples celebrating the day. If you plan to eat out, it’s worthwhile to call ahead and make reservations. Valentine’s Day is one of the most popular evenings for people to eat out, so getting a seat without reservations may be difficult. The stock market is open Valentine’s Day. 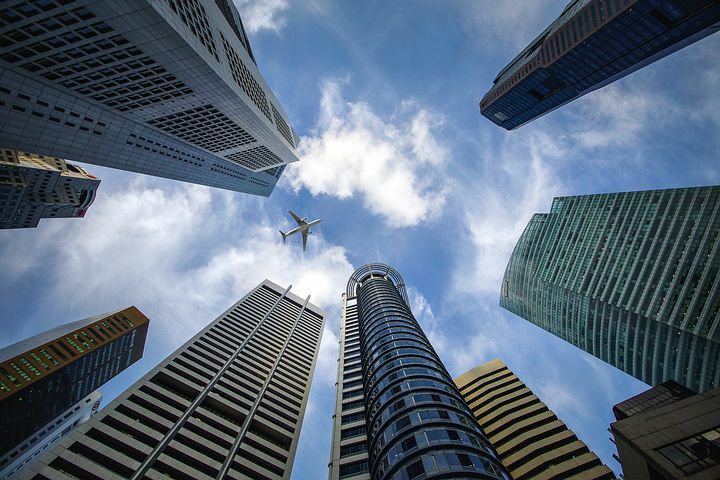 The New York Stock Exchange and the NASDAQ composite both close on Saturday, and since Valentine’s Day lands on a Saturday, both will be closed this year. The stock markets are closed these days in 2019. Libraries are open on Valentine’s Day. Public community libraries will be open their normal hours on February 14, so you’ll be able to check out as many books as you’d like. Schools are open on Valentine’s Day. Most public and private schools are open as usual. National Parks are open on Valentine’s Day. Take your sweetheart to a nearby National Park. Government offices are open on Valentine’s Day. Because Valentine’s Day isn’t a federal holiday, most government offices are open. State and local government offices are open on Valentine’s Day. Much like the federal government, the majority of state and local government offices are open on Valentine’s Day. Banking institutions are open on Valentine’s Day. While the vast majority of financial institutions, like banks and credit unions are closed on Sunday (with some exceptions), Valentine’s Day 2019 falls on a weekday, so banking institutions will be open. You will get your mail delivered on Valentine’s Day. For those who want gifts and cards to arrive on February 14, the post office will deliver mail on Valentine’s Day as it regularly. Both Federal Express (FedEx) and UPS will deliver packages on their typical Saturday schedules. Grocery stores are open on Valentine’s Day. Grocery stores will be open for business on the 14th, and they can be a great place to get last minute Valentine’s Day gifts, candy and flowers. What’s Open on Christmas Day 2018? Most people assume nothing is open on Christmas Day, and for the most part, they’re correct. However, there are a handful of exceptions worth noting, especially for those who will be out and about on December 25. While most services will be limited, you’ll find enough places open to get by, especially if you’re spending part of the day traveling. Here is what’s open on Christmas day this year. For the part, you can expect some stores, drug stores, and gas stations open on Christmas Day. However, you might find others in your area. Make sure you call ahead to be sure before you head out. Large retail stores are closed on Christmas. Most retailers will be closed on Christmas. This includes the big stores such as Walmart, Target, Costco, Macy’s, etc. However, some stores will be open on Christmas. Most grocery stores are closed on Christmas. Grocery stores are typically closed for Christmas Day, and most of the major grocery store chains will remain closed on December 25. Some major chain convenience stores are open while others are closed. Both 7-11 and Circle K are open on Christmas, but some smaller convenience stores may be closed for the day. Some restaurants will be open, while others will be closed. Some national chain restaurants will be open on Christmas December 25, but it varies by the chain. It’s best to call ahead to confirm if you plan to go out to eat on Christmas. The vast majority of independently owned restaurants will not be open. Most gas stations should be open. There will be some gas stations which close, especially those located in primarily residential areas, but it shouldn’t be difficult to find at least one if you need to fill up your car. Gas stations along major travel routes and highways should be open for travelers as well, for those choosing to drive. The service area of gas stations will be closed, so you’ll be able to fill your car, but not get work done on it. The stock markets are closed on Christmas. Both major US stock markets (the New York Stock Exchange and NASDAQ) are closed on Christmas Day. Libraries are closed. Public libraries won’t be open on Christmas Day. You will want to check with your local library, but many libraries also close the day after Christmas. Schools are closed. Both private and public schools will be closed on Christmas. Many schools are out for winter holiday and won’t be in session until the New Year. Garbage service will be rescheduled. For those who typically have their garbage picked up on a Sunday or Monday will have their service rescheduled for another day. You can contact your local garbage company to find out their holiday schedule. Government offices are closed. All government offices which aren’t essential will be closed on Christmas, as it’s an official federal holiday. Essential government services like air traffic controllers, police and fire departments will still function, and be open in case they’re needed. Both local and state government offices are closed. Much like federal government offices, local and state non-essential government offices will close on Christmas Day. Those departments needed for safety (police, fire) will remain open. Credit unions and banks are closed. 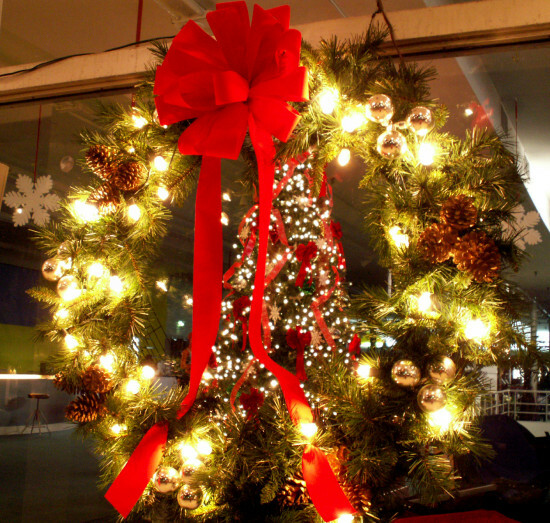 Credit unions, banks, and similar financial institutions will not be open on Christmas Day. ATMs, websites, and apps where limited banking services can be done will be available. Post offices are closed. As a federal holiday, post offices will close on Christmas Day, and there will be no mail delivery. The post office will be open during regular business hours the day after Christmas. What’s open Valentine’s Day depends on what year it is. You’re in luck for 2018: Everything is open. You’re wise to research whether things might be closed on V-Day because when the holiday falls closer to the weekend, it may overlap with President’s Day, or be close enough to that date for there to be closures. Although V-Day is celebrated by a majority of the population, the government and businesses do not consider it a day to take off — or as Uncle Sam would say, President’s Day is a federal holiday but not Valentine’s Day. So while everything is indeed open on Valentine’s Day, don’t expect that to be the case in 2021, when the holiday falls on a Saturday. That’s when government offices at all levels will be closed, and so will banks and the stock market — along with schools and some public libraries. In 2022, Valentine’s Day will fall on a Sunday and then the post office will also be closed, so that will be the year to plan ahead for deliveries to arrive on February 13. This year, it’s worth noting that stores are open for business as usual on Valentine’s Day this year so you can buy last minute gifts. If you’re a chocolate lover, you might want to hit the store on February 15 to get sweets on sale — even premium brands for up to half off. Restaurants are open on Valentine’s Day most years, and it’s one of the busiest nights for the industry, so if you intend to take your sweetheart out for dinner, make reservations early so you don’t get locked out of your top choice. Otherwise, you can always cook at home, especially because groceries are open on Valentine’s Day (and if your garbage is normally picked upon Wednesdays, that will happen as usual). A variation on cooking at home: Picnic in the park if you live somewhere warm. Public parks are open on Valentine’s Day, but it’s not one of the days that national parks offer free admission in 2018. Readers, what are you planning on Valentine’s Day? 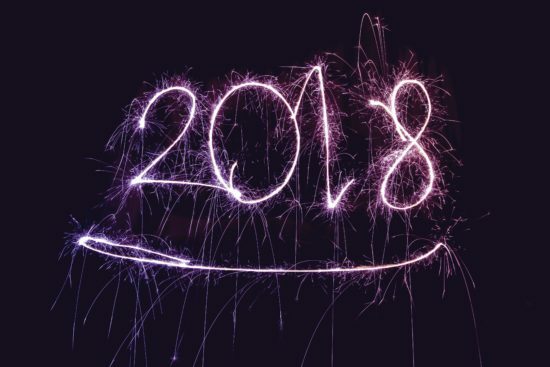 What’s Closed on New Year’s Day 2018? With the first day of the New Year also comes the first major holiday. As with many holidays in the US, knowing what is and isn’t open can be confusing. While New Year’s Day is one of ten official federal holidays, it doesn’t make it a universal holiday in the US. There’s no set black and white test to know what is and isn’t open during federal holidays because each business or organization can choose to open or stay closed. Even more confusing, what’s open and what’s not can change from year to year. Below you’ll find a list of what’s open and closed on New Year’s Day in 2018. Most large retail stores are open. The vast majority of large retail outlets will be open on New Year’s Day, with a few exceptions. Many of the large retailers will use the holiday to promote sales, so there can be some great deals for those who need to do some shopping. Will Boutique Retail Stores Be Closed New Years Day? Boutique retail stores, in general, are closed, but it depends, and some will also be open. While the larger retailers will mostly be open, it will be the opposite with smaller boutique and family stores. Most of these will likely be closed on January 1, although those located in busy shopping districts may be open. The best course of action to take is to call to confirm if you need to visit a smaller store on New Year’s Day. Drug stores are open. The three big drug stores (Rite Aid, CVS, and Walgreens) will all keep their doors open on January 1. Pharmacies within the drugstores should also be open, although they may have limited hours. Smaller, independent drug stores may be closed, so if you visit one of these drugstores, it’s best to call and confirm whether or not they will be open. Grocery stores are open. Large retail chain grocery stores will be open on January 1, but they may be operating on shorter holiday hours (call your local store to find out). Smaller grocery store chains and independent grocery stores may or may not be open. Again, it’s best to call if you are planning to visit one of these stores. Will Restaurants be Open on New Years? Chain restaurants will be open, smaller independent restaurants may be closed. Most large chain restaurant will be open on New Year’s Day, but smaller, independent restaurants may close for the day. If you plan to go out to eat on January 1, calling ahead to make sure a restaurant is open is recommended. Gas stations are open. The vast majority of gas stations will be operating on New Year’s Day. If one in your area happens to be closed, there should be plenty of other places to find gas at other stations. On the other hand, the service station area of gas stations will likely be closed for the day. The stock markets are closed. New Year’s Day is one of the days both the New York Stock Exchange and the NASDAQ composite close for the day. No trading will take place on Monday. You can see other days the stock markets will be closed here. Public libraries are closed. Libraries across the US will be closed on January 1. Some may also close early or remain closed on Sunday, December 31 as well. Schools are closed. Private schools and public schools won’t have classes on the first day of the new year. In many cases, schools will be on their winter holiday over the entire New Year’s weekend, with classes beginning again on Tuesday, January 2. Garbage pickup will be rescheduled. Customers who usually have their garbage pickup on Monday will be rescheduled. In many cases, Monday’s service will be moved to Tuesday, and Tuesday’s service to Wednesday and so on. There may be variations to this holiday schedule depending on your garbage service provider. If you aren’t sure of the holiday schedule, it’s best to contact your local garbage company. Government offices are closed. New Year’s Day is an official federal holiday, and as such, all non-essential government offices will be closed for the day. There is an exception for essential federal employees, such as air traffic controllers and federal law officers, but the majority of federal employees will have the day off. State and local government offices are closed. New Year’s Day is one federal holiday when state and local governments follow the federal government and close for the day. There are exceptions at the state and local level as well such as police and firefighters which will remain open, but most offices will close for the day. Banks and credit unions are closed. Financial institutions like credit unions and banks are closed on New Year’s Day. Even with the branches closed, customers can do limited banking through ATM’s, websites and apps. Is the United States Postal Service Closed on New Years? The post office is closed. The US Postal Service (USPS) and post office branches observe federal holidays and therefore they’ll be closed on New Year’s Day. The post office will not reopen until Tuesday, January 2. You’ll want to call and confirm hours with your local P.O. What’s Open on Christmas Day 2017? Most people assume everything is closed on Christmas Day, and for the most part, they would be correct. There are, however, some exceptions that are worth noting, especially for those who will be out and about on December 25. While most services will be limited, there are enough places open to get by for those who will spend part of the day traveling. Below is a list of what you can expect to find what’s closed and what’s open on Christmas Day. Large retail stores are closed. The vast majority of retailers will be closed on Christmas. This includes the big stores such as Walmart, Target, Costco, Macy’s, etc. See what stores will be open. Drug stores are open. The exception to retailers being closed on Christmas is the drugstore chains. Both CVS and Walgreens stores will be open December 25, and Rite Aid will have select stores open (You’ll need to call to confirm if your local Rite Aid will be open.). Most grocery stores are closed. Grocery stores are typically closed for Christmas Day, and most of the major grocery store chains will remain closed on December 25. Some restaurants will be open, while others will be closed. There will be some national chain restaurants which will remain open on December 25, but it varies by the chain. It’s best to call ahead to confirm if you plan to go out to eat on Christmas. The vast majority of independently owned restaurants will be closed. Most gas stations should be open. There will be some gas stations which close, especially those located in primarily residential areas, but it shouldn’t be difficult to find a least one if you’re in need of filling up your car. Gas Stations along major travel routes and highways should be open for travelers as well, for those choosing to drive. The service area of gas stations will be closed, so you’ll be able to fill your car, but not get work done on it. The stock markets are closed. Both major US stock markets (the New York Stock Exchange and NASDAQ) are closed on Christmas Day. Credit unions and banks are closed. Credit unions, banks, and similar financial institutions will shut their doors on Christmas Day. ATMs, websites, and apps where limited banking services can be done will be available.